For everything we know about climate change and global warming, there is much more we don’t know. To make matters worse — current presidential administration included — we don’t even know if the information we have is reliable. Nor do we have a solid understanding of what solutions are realistic. It’s a global issue that continues to amass potential risks day after day, and nearly all efforts to slow or stop it completely have turned up nothing useful. What we do know is that it warrants further studying, which requires information and time. One way to speed up knowledge gain, at least in the current landscape, is to make use of big data technologies. Through the collection of continuous streams of information and data, we can extract actionable intel and insights that could further our community. With big data, historical information is just as valuable as the more recent kind. It allows us to map various trends and patterns, which we can use to better predict the future. And knowing what’s coming means more viable solutions for dealing with potential problems. The first step to finding a solution for any problem, big or small, is understanding as much about it as humanly possible. We need a thorough grasp of climate change, what’s happening to our planet and what’s causing the most significant environmental changes. More importantly, we need to understand how the world today is different from the world of yesterday, and how we can use that information to predict the state of the world tomorrow. Systems like this have been around for quite some time, believe it or not. NASA’s Landsat technology, for instance, offers an incredible look at the global land surface, and how it’s changed over the years. The U.S. Environmental Protection Agency has also used their vast collection of data in the past to show what changes are happening to our planet. However, to truly come up with solutions that are going to make an impact, we need to dive deeper. And there’s no way to make real progress unless we, as a species, agree to acknowledge the existence and risk of human-caused climate change. Big data is already helping immensely with the awareness and exposure aspect. 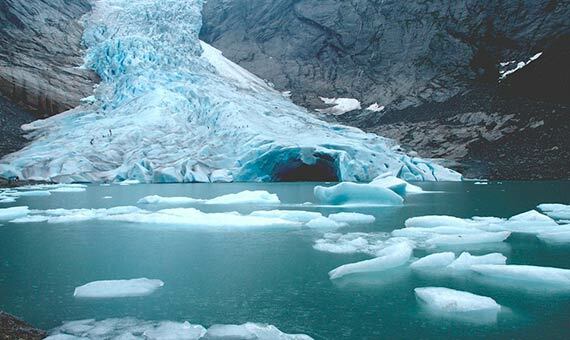 Things like the U.N.’s Big Data Climate Change Challenge in 2014 are just the start. Through collective efforts, NASA, the U.S. EPA and Global Pulse are all working to gather, analyze and share data about the subject. One of the most progressive ways they’re doing this is by assessing social media for various discussions and mentions about the topic. 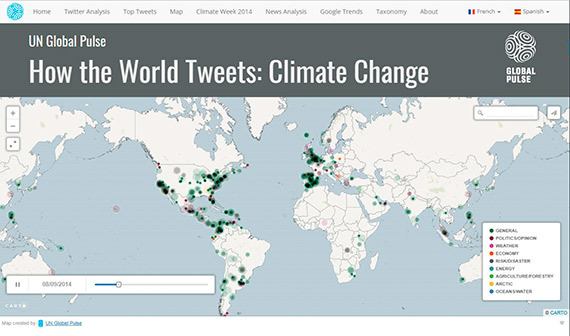 You can see a Global Pulse map of how relevant climate change tweets happen around the world. You can even get a breakdown by topic, including general, weather, politics and more. In that vein, you can see exactly what aspects of climate change the public is interested in. Using data to combat climate change and understand the subject better is nothing new. But it’s clear we’ll need to continue relying on the technology if we want to make any kind of difference. The topic, in and of itself, is almost too complex for any one person to understand. In fact, it’s almost too complicated for most people to even acknowledge. 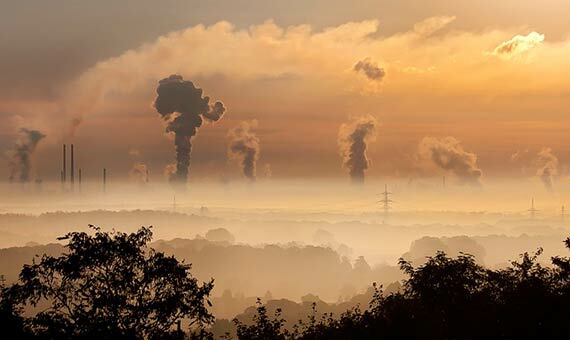 Modern analytics tools, predictive systems, Big Data technologies and machine learning will all play an important role in the future of climate change. We do have some limitations to exceed before anything major will happen, but that’s true of any technology applied in new, innovative ways. Here’s hoping we can overcome them, and change the future of our planet for the better. Business technology expert and founder and editor of Finding an Outlet.